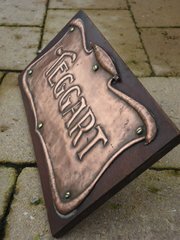 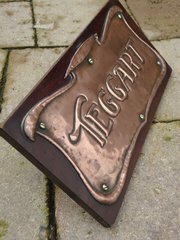 DescriptionArts & Crafts copper door plate with the name Teggart with a scrolled edge backed onto an oak panel. 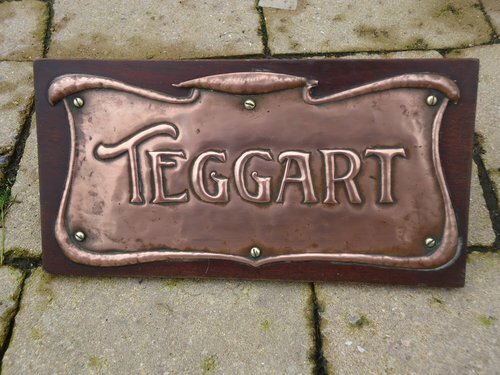 Looking for someone with this name! 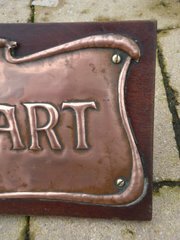 This measures 23cms x 12cms and is offered in good original condition DateArts & Crafts 1900 Price£65.00 Postage included within the U.K.